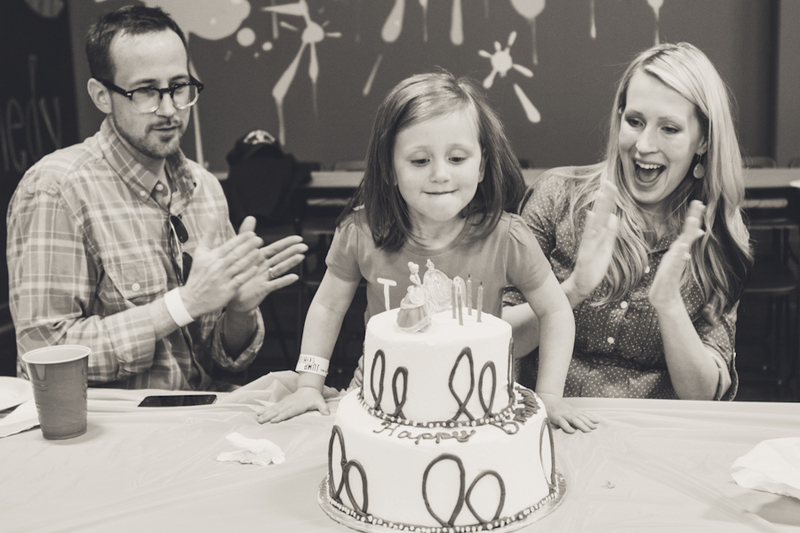 This weekend was full of family celebrations. On Friday night we celebrated Addie's 4th birthday at an indoor trampoline park with some of her friends. Everyone had a great time! On Sunday we went out for Easter Brunch and then Jake and I put our new dining room to use and hosted the family for an Easter egg hunt and a casual Easter dinner. 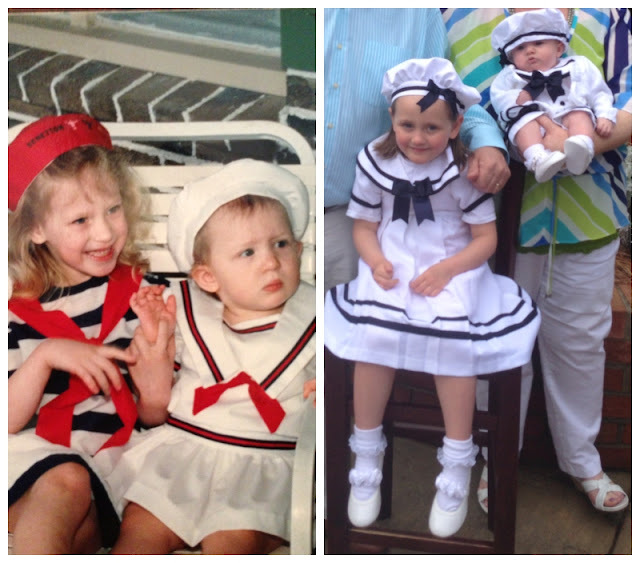 Sisters in sailor dresses 25ish years later. love those easter eggs and the mason jar drinks! so cute!! Beautiful pictures! The eggs look amazing! Fun weekend! 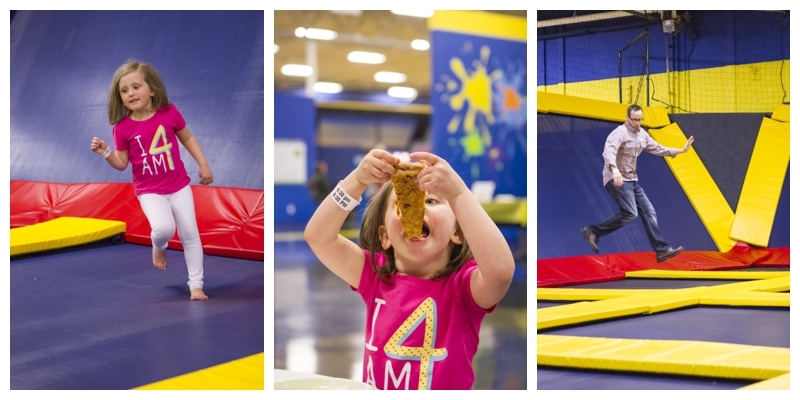 A trampoline park sounds like a lot of fun...and I'm a lot older then 4 years old!